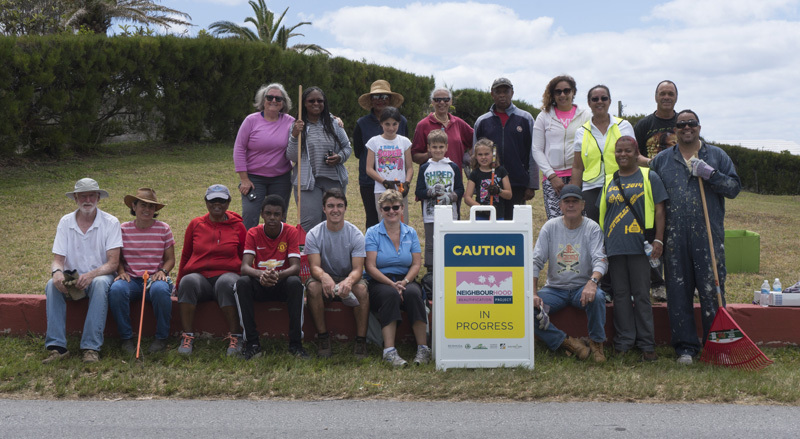 On Earth Day over the weekend, residents of Lighthouse Road cleaned up their neighbourhood as part of the Bermuda Tourism Authority’s [BTA] Neighbourhood Beautification Project. This is the first phase in a three-part programme to support neighbourhoods that want to beautify public roadways near visitor attractions. More than a dozen volunteers – most of them residents of the neighbourhood – rolled up their sleeves and got to work for three hours on Saturday. The end result is a spruced up roadway for residents of the area and for visitors on their way to Gibbs Hill Lighthouse. Neighbourhood leader, Dave Blakeney, made the application to be part of the program and pulled together residents from areas surrounding the stretch of road they focused on this past Saturday. 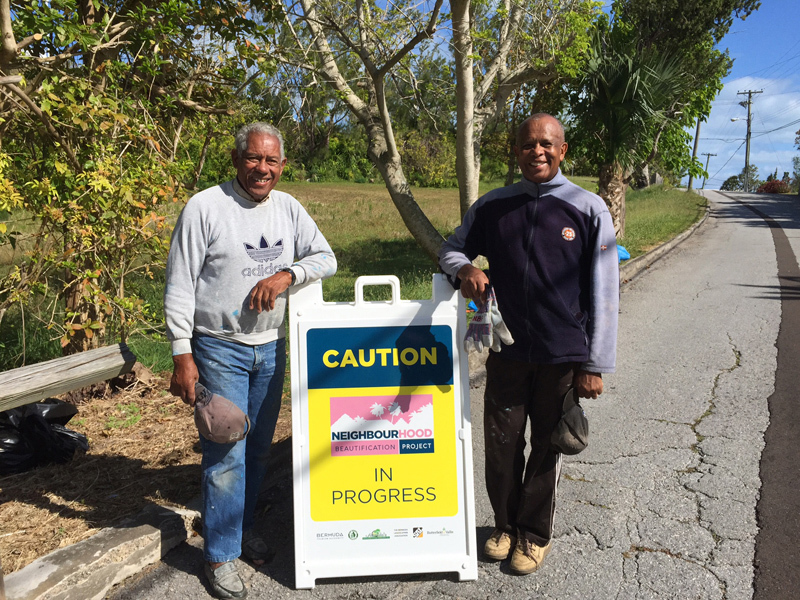 The team worked on the west side of Lighthouse Road from South Shore Road to St. Anne’s Road. SAL Limited, Precision Landscaping, Keep Bermuda Beautiful [KBB] and the Southampton Parish Council all partnered with the BTA to make this happen. The BTA will be working with other neighbourhood groups to facilitate additional clean-up projects. Well done to all those who worked to make that area clean and beautiful. Lighthouse road is a well traveled tourist route and should of been kept looking pristine and clean as it has always been for so many decades by our Parks dept. I too had taken notice of how dirty and over grown that road was looking. Shame that these Govt working crews take no pride in doing a job and a service that benefits the whole island. Tourist have always complimented Bermuda for its well manicured gardens and cleanliness. Shame,it just isn’t the same anymore. BTA doing something right…glad to see it. Maybe they are getting their act together…we’ll see when the new tourism numbers come out. Finally today we have Parks workers in St. David’s, we miss our street cleaner, Mr. Paynter. Well done, Lighthouse crew, I would like to encourage those who live on that road towards St. Luke,s church to rally together and do the same. I think the road cleaning units of Works and Engineering do a great job, per haps they are few in number,and need to be supplemented by those on community service orders by the Courts, and those un-able to pay their fines.